What Does Bullying at Work Look Like? Bullying will inevitably erode the victim’s confidence and self-esteem. It normally relates to negative behaviours that are repeated and persistent, and deliberately targeted at a particular individual. Bullying is often an abuse of power, position or knowledge, and may be perpetrated by the victim’s manager, his or her peers or even by subordinates. 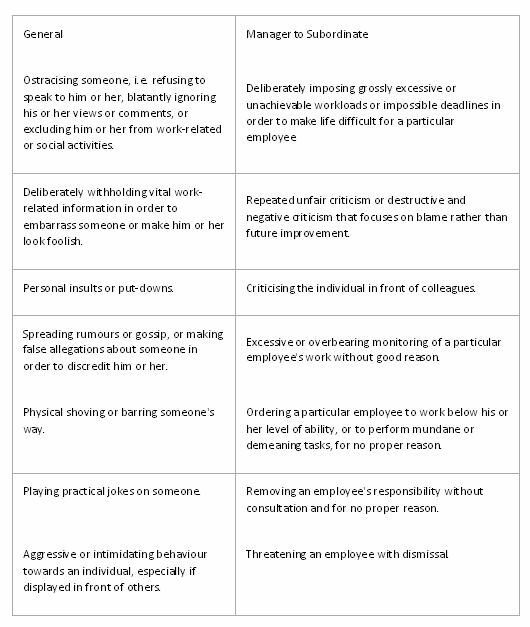 The following table gives some examples of behaviour that could be perceived as bullying, depending on the circumstances. Whatever form bullying at work might not take, it should not be tolerated at any level and must be dealt with immediately. If you are concerned about any of your employees being bullied, or you are being bullied yourself and need to speak to someone about it in confidence, call me straight away on 0118 940 3032 or click here to email me. When you’re looking to grow your business, you’re only as strong as your weakest member. Dealing with somebody in your team who doesn’t live up to the standards you require is difficult, both legally and ethically. Before you show an employee the red card, be sure you have tried everything that is expected from you, the employer, to guide them and push their performance to a higher level. Your starting point for resolving issues should be to deal with them early and informally. Sit down and discuss your concerns with your employee. Use these meetings to encourage and develop the behaviour and performance you want. Never automatically assume that the employee is at fault. Investigate the causes of poor performance before deciding what action to take. Your aim should always be to help your employee bring their performance up to standard. 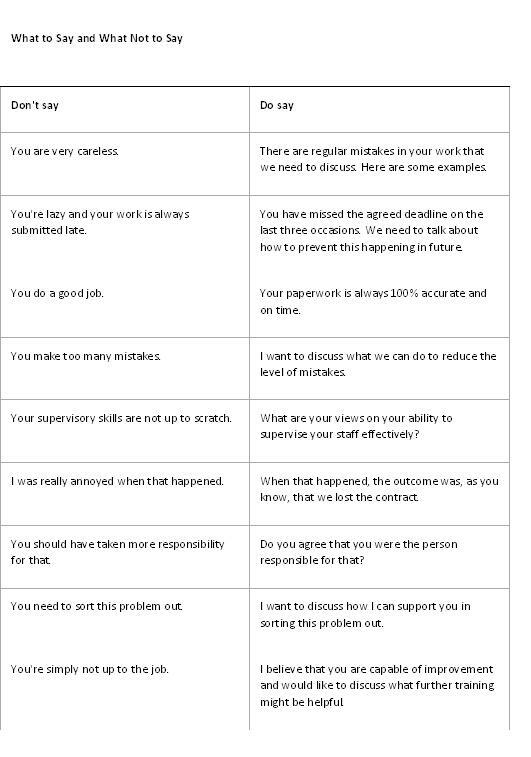 Where your conversation reveals a cause that’s not the fault of your employee, your initial response should be to offer help and support. Regularly monitor performance, referencing the objectives and timescales agreed, where appropriate. You should offer ongoing support, even after the discussion; and keep records and notes of all informal discussions. If, following informal discussion and support, and from monitoring your employee’s performance, you don’t feel improvements have been made, you’ll need to follow a formal capability procedure. This procedure provides for a series of performance review meetings with the employee following which formal warnings may be issued. You must give your employee at least 48 hours’ notice of a performance review meeting and ensure the arrangements are handled with discretion and confidentiality. Make sure you’re accompanied at the meeting by a colleague or HR representative. Their role is to support you and take accurate notes of the meeting, enabling you to focus on handling the session fairly and appropriately. There’s a lot to take in here, so we’ll cover the next steps in another blog. In the meantime, if you need any help now with a staff performance issue, call us on 0118 940 3032 or email sueferguson@optionshr.co.uk and we’ll give you some advice. Employment Law is constantly changing. To make sure you stay on the right side of the law, and do the right thing by your employees, here are some of the issues you need to know about. Shared Parental Leave – this will allow eligible mothers, fathers, partners and adopters to choose how to share time off work after their child is born or placed for adoption. Employed mothers will still be entitled to 52 weeks of maternity leave and 39 weeks of statutory maternity pay or maternity allowance. If she chooses, an eligible mother can end her maternity leave early and, with her partner or the child’s father, opt for Shared Parental Leave instead of Maternity Leave. If they both meet the qualifying requirements, they will need to decide how they want to divide their Shared Parental Leave and Pay entitlement. Antenatal Rights – from 1 October 2014, the partner of a pregnant woman has been allowed to take unpaid time off work to attend antenatal appointments with her. Partners are allowed time off for up to two antenatal appointments, capped at 6.5 hours per appointment. Confusion might arise because in some cases, the partner might not be the biological father of the child. They could be the mother’s spouse, civil partner, or partner in an enduring relationship. It could also be the parents of a child in a surrogacy arrangement. Fit for Work – this service helps employees stay in, or return to work. It provides an occupational health assessment and general health and work advice to employees, employers and GPs. It will not replace, but will complement existing occupational health services provided by employers. There will be a phased roll out of the referral service taking place over a period of months during 2015. Every time a change is made to Employment Law, your Staff Handbook will become out of date. You don’t need to update it every month, but you do need to be aware of the legal changes and how they affect your employees and your business. If your Handbook has not been updated for a couple of years, it’s best to get up to date information on any specific issue, before you take action. To help keep your business up to date, book your place on our next Employment Law Update Workshop. On 21 May 2015 we’ll be spending the morning at Hennerton Golf Club in Wargrave, Berkshire, going through the changes. We’ll talk about how they will specifically impact on your business and what you need to be aware of, in order to stay on the right side of the law. Click here to book your place for just £15 +VAT.